Bar Harbor and Acadia National Park meet Maine's ocean offering a breathtaking view kissed with an ocean breeze. At Seaside Cottages we invite you to our own enchanted world by the sea. 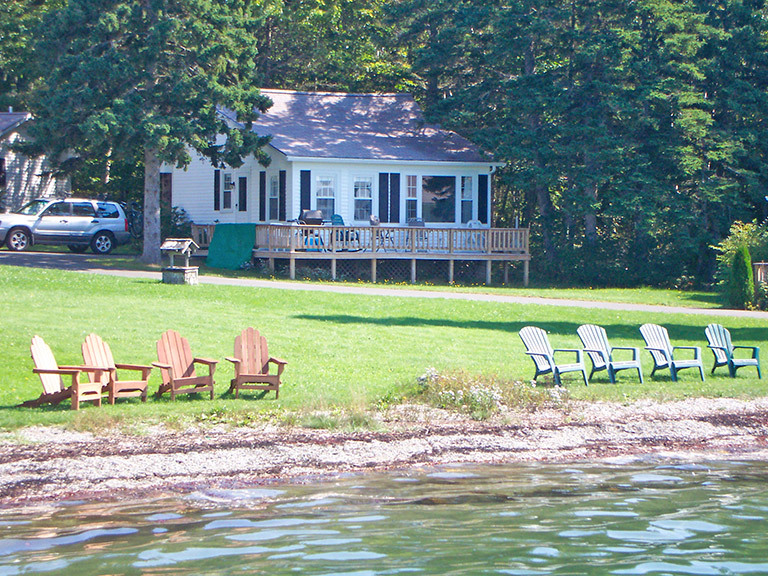 Our cottages are available for weekly and daily rentals and are stocked with all the amenities you need for the perfect vacation. Come down our drive to feel the warm hospitality and family atmosphere as you enjoy the beauty around you! Our large housekeeping cottages have one, two, or three bedrooms. The modern kitchens have all the pots and pans, dishes and appliances you need, as well as microwave ovens. Comfortable living rooms offer expansive views of the cove. 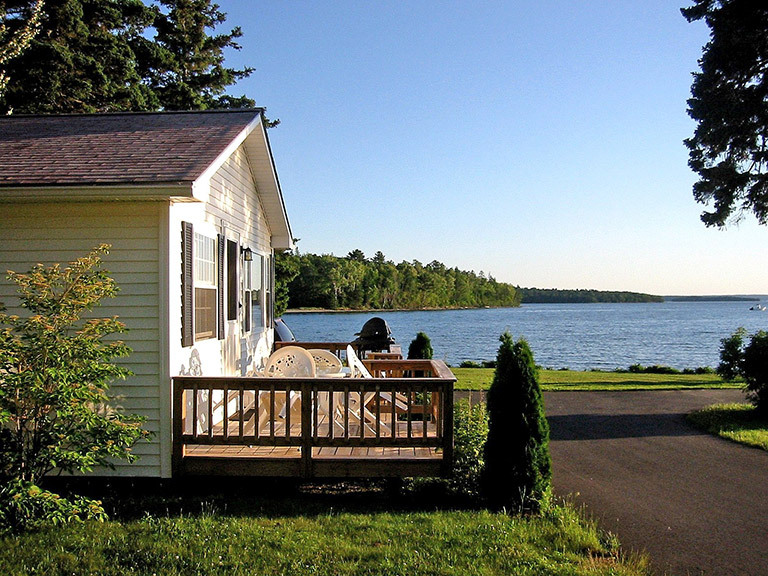 Some cottages have cheerful wood and gas fireplaces, and all have outdoor furniture and a gas barbecue grill. 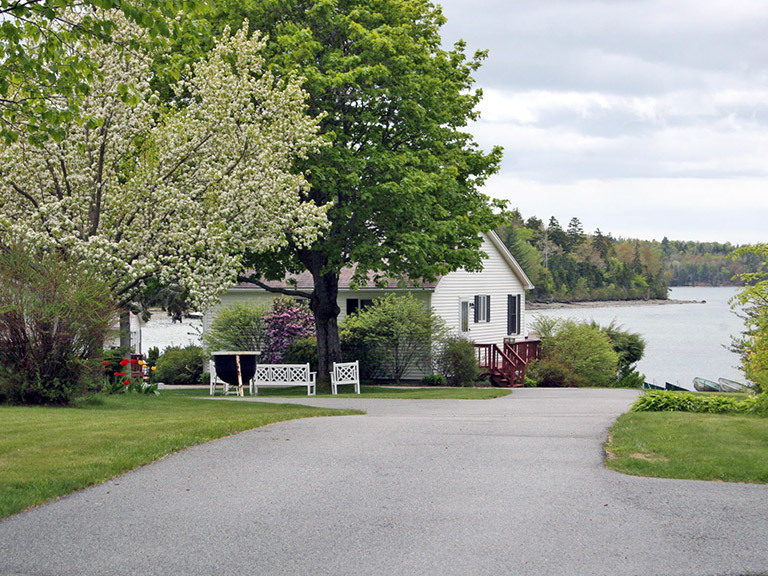 Linens are generously provided, baths have both tub and shower, and all cottages have their own individually controlled heat, color cable television, out-going telephone, and wireless internet access. If you enjoyed your stay with us, please take a moment to visit Trip Advisor (just click on their logo!) to rate our facility and leave a message for vacationers searching for the perfect vacation spot. Lakeside Cottage Rental on Donnell Pond, Maine. 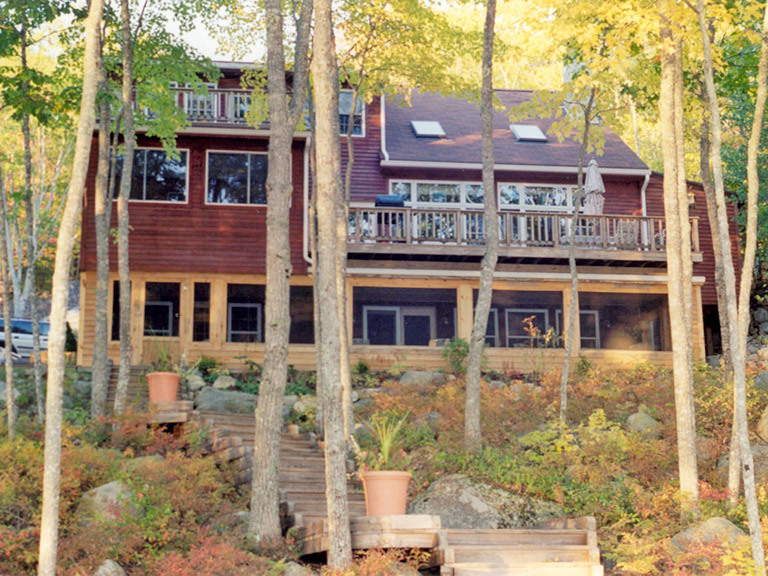 We also have a lakeside cottage for rent on Donnell Pond in Franklin, Maine, which is only 45 minutes from Bar Harbor. 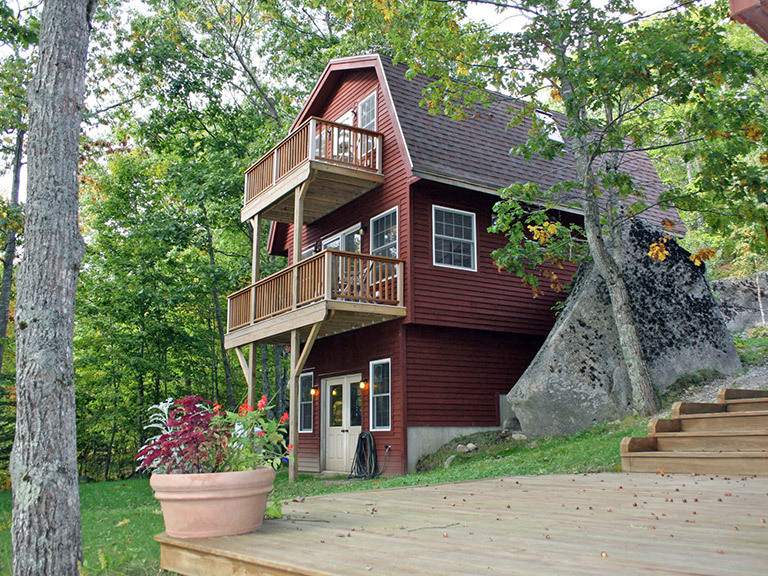 This cottage is large enough to comfortably accommodate a large family and in addition we have a guest house for larger groups. 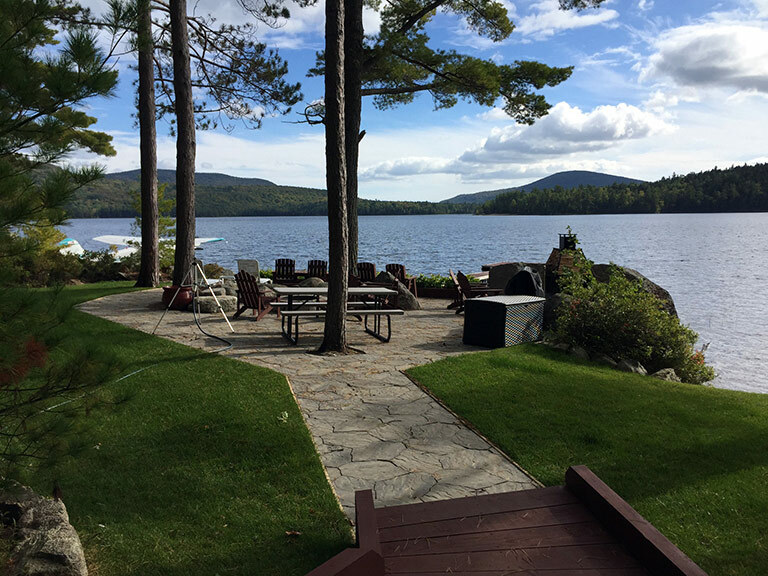 Our lakeside rental offers waterfront access and outside amenities to make your stay more enjoyable, including a fire pit, kayaks, canoes, a row boat and the option to rent our 16’ motorboat. Just the place if you are looking for a true get-a-way to spend time with family and friends. Also great for group retreats and family reunions! Our family would like to welcome you to our beautiful vacation rentals and we look forward to making your upcoming family or retirement vacation, honeymoon, or family reunion perfect for you and your family.